And on with the layouts! 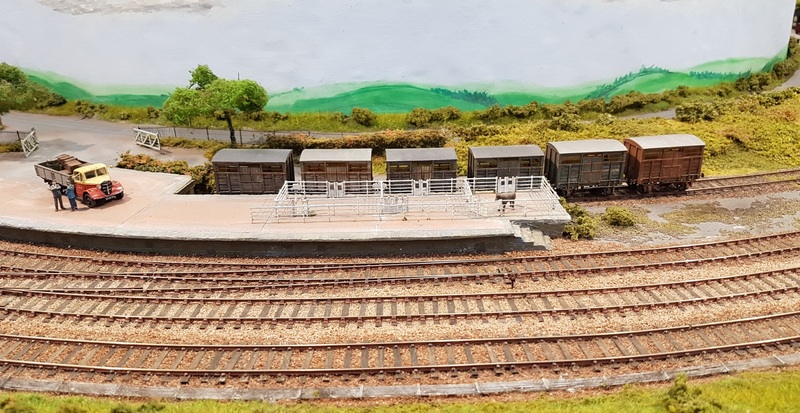 Ballyconnell Road is unusual – 3mm/ft scale is unusual in itself, but this layout is 15.75mm gauge, representing the Irish 5′ 3″ lines. I also really like the circular layout plan. And another road – Dunkow in ‘N’. 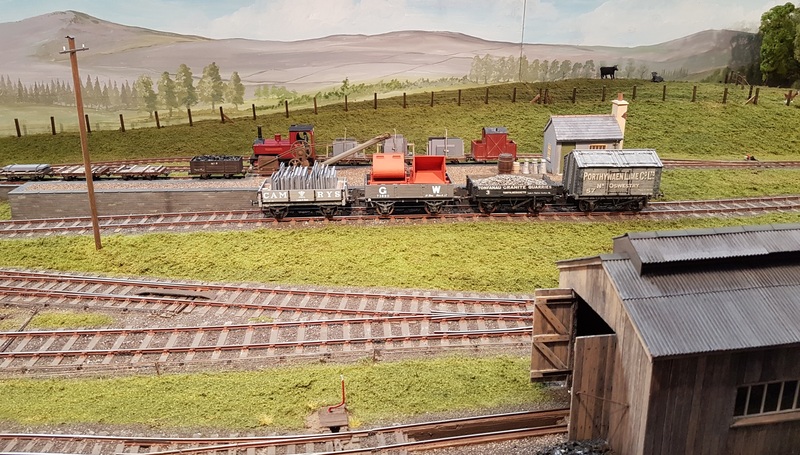 The next layout, Porth Nefyn (O with narrow gauge) must have been a late substitute, as it doesn’t appear in the show guide (I have some sympathy with the writers.) 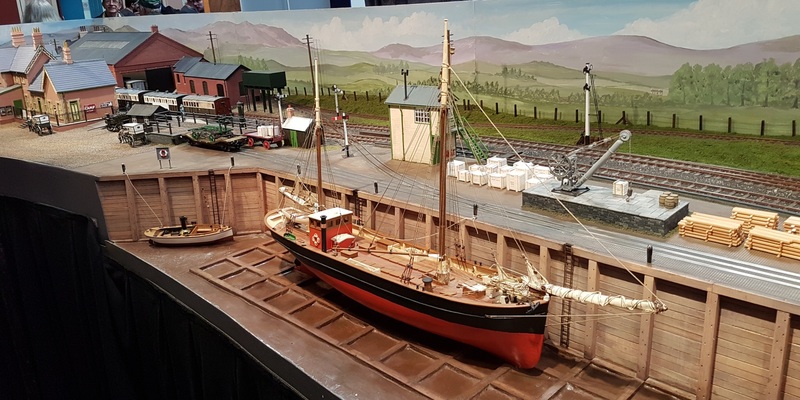 That’s a shame; set on the Cambrian, somewhere in Wales, it was one of the nicest layouts on display. And I loved that rake of old horse boxes. 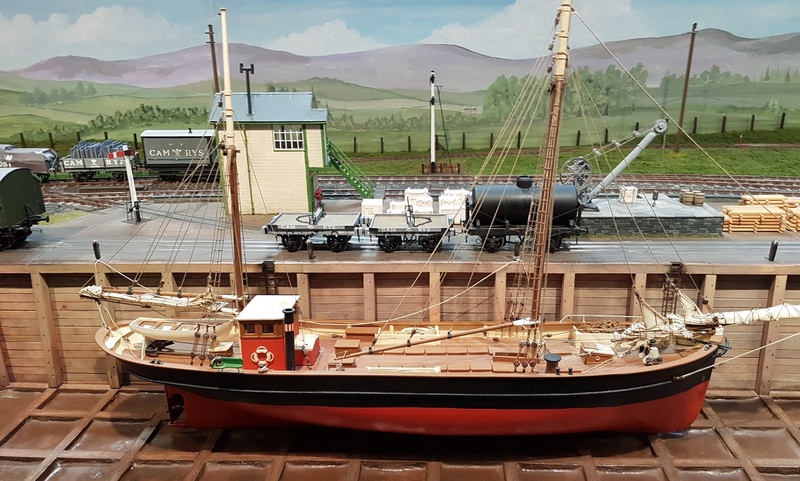 And gauge ‘1’ steam at rest…. Arigna (OOn3) has developed a lot more vegetation since I last saw it. It’s a delightful creation of a bucolic byway. 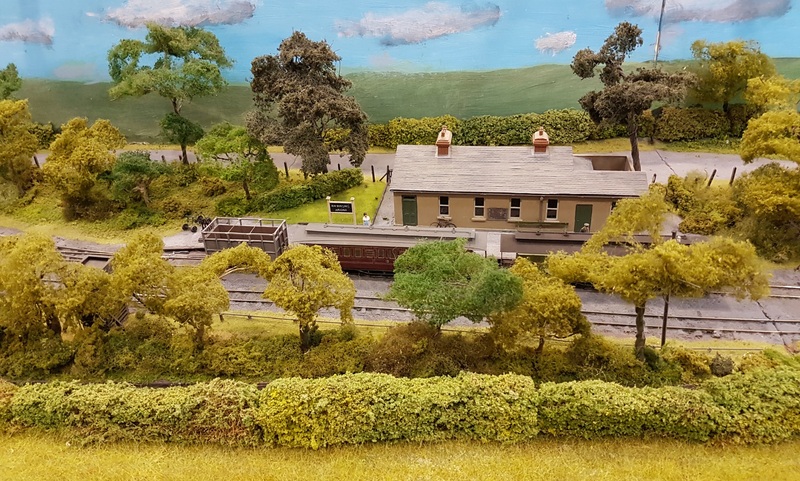 More Southern Region with Thornbury Hill, set somewhere in the inner suburbs on the London Victoria – Brighton main line. 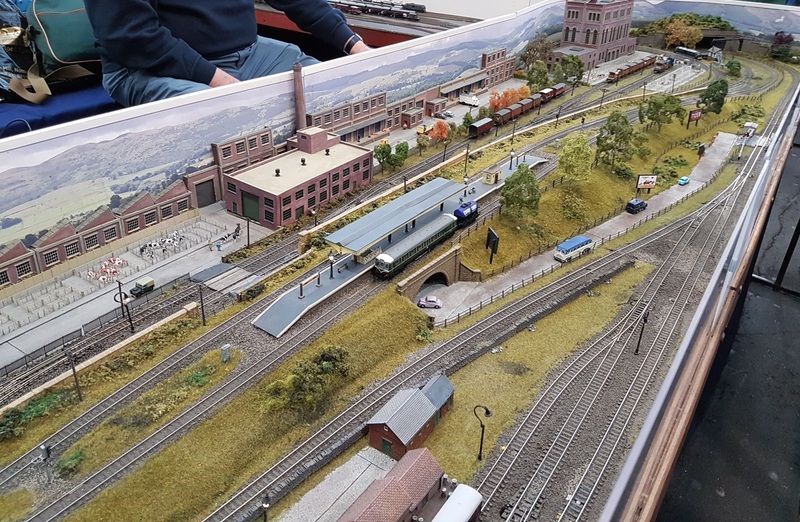 And yes, the 4-DD unit never made it to this line, but orbited around the Dartford Loop. But it’s MY railway…..
And last for today, the delightful ‘Habbaniya, Iraq, 1941. 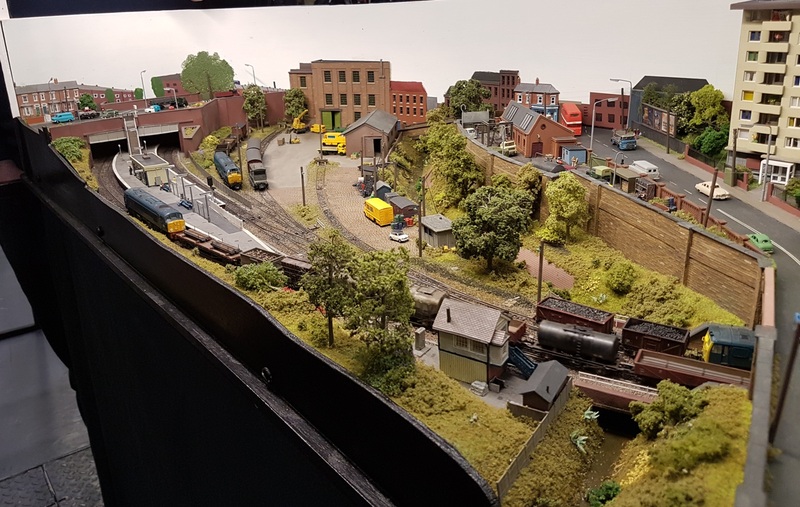 This diorama does have moving trains and vehicles, but it is full of interesting techniques that could be applied to railway models. 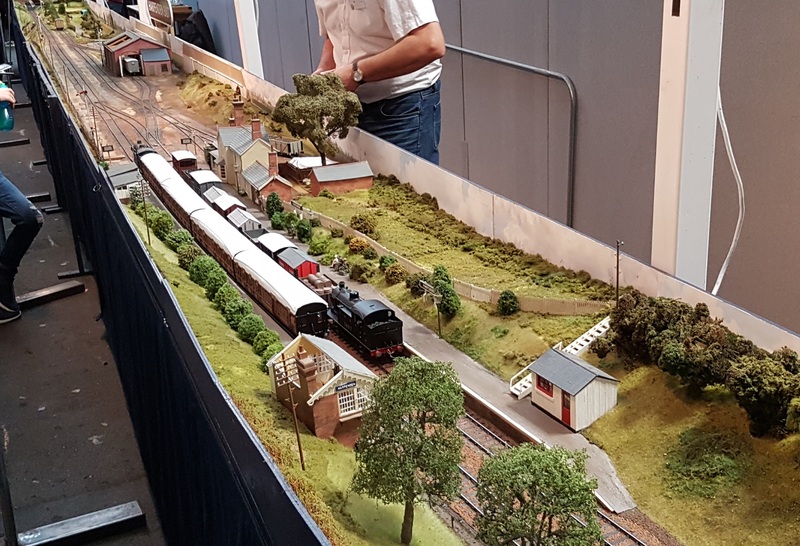 Not least, the forced perspective, with 1/32 at the front and 1/700 at the back. 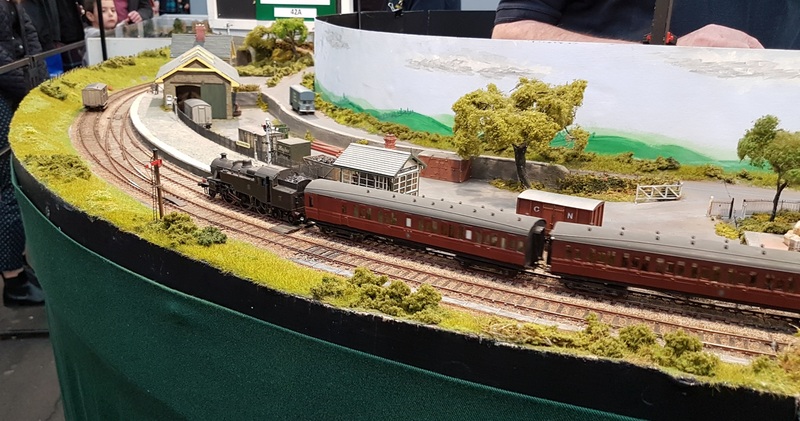 This entry was posted in Exhibitions, Inspiration, Out and about, The trade and tagged exhibition, model railway, N gauge. Bookmark the permalink.